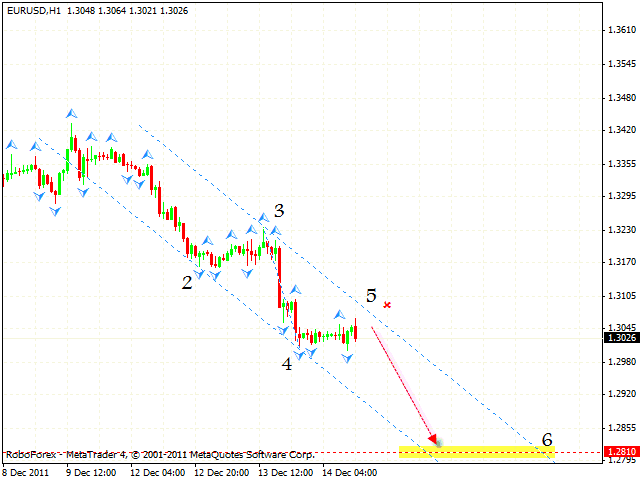 The EUR/USD currency pair has reached its target. Currently the price is forming the descending pattern with the target in the area of 1.2810. One can consider selling the pair with the tight stop. If the price breaks the upper border and leaves the descending channel, this case scenario will be cancelled. Pound has also completed the descending pattern at shorter time frames. 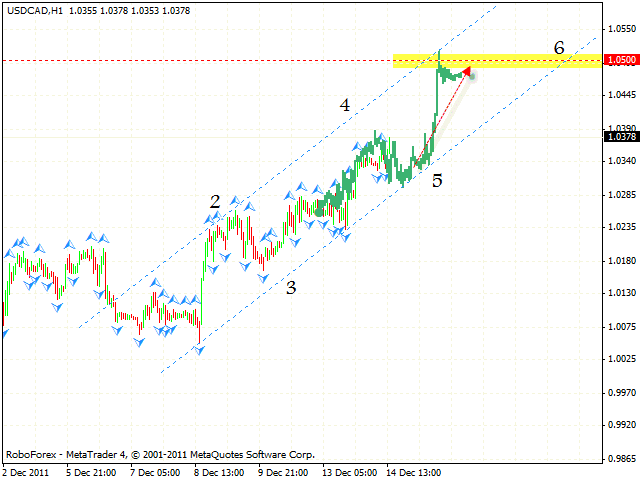 The next target of the fall is the area of 1.5370, one can consider selling the pair with the tight stop above 1.5545. If the price leaves the channel, one is recommended to close short positions. 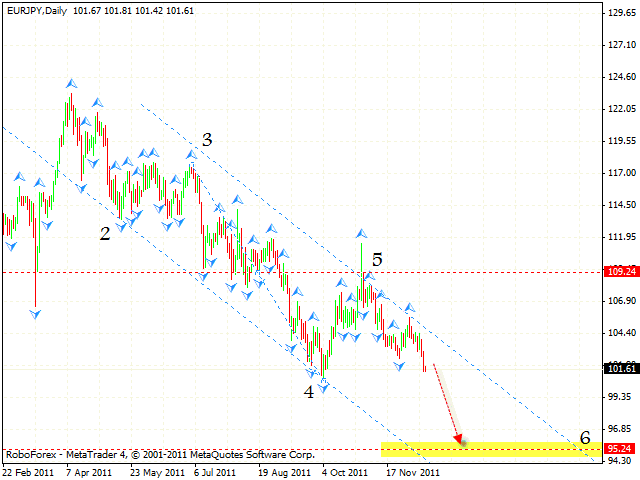 The EUR/JPY currency pair continues moving inside the descending pattern, the target of the fall is the area of 95.24. One is recommended to hold sales or can consider opening short positions with the tight stop. If the price grows higher than 104.40, this case scenario will be cancelled. At the H1 chart of the USD/CAD currency pair we can see the formation of the rising symmetrical pattern with the target of the growth in the area of 1.0500. 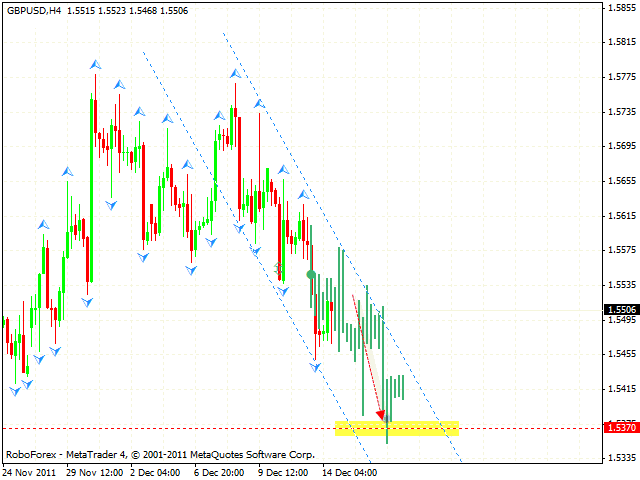 One can consider buying the pair with the tight stop below 1.0340. If the price breaks the channel’s lower border, this case scenario will be cancelled.